Candytopia is a nut-free museum that is like a mini amusement park with interactive exhibits and touchable artwork. 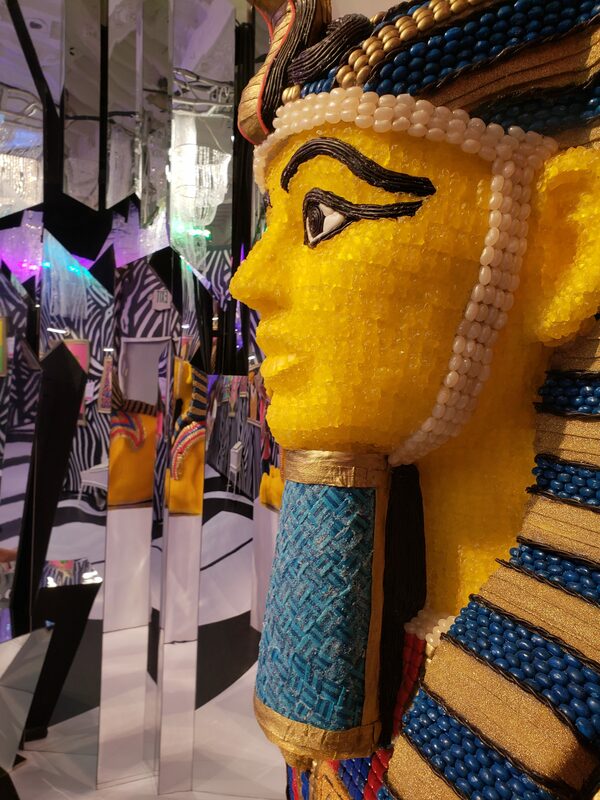 Jackie Sorkin, the co-creator of Candytopia, said the concept of candy art became a whole new form of artistry for her 10 years ago. Sorkin said she began to use candy as an interesting medium. Known as the “Candy Queen,” Sorkin is the CEO of the Hollywood Candy Girls, a desserts and sweets-focused catering and events production company. She has lent her talents to Oprah Winfrey, Disney and Katy Perry where she designed the singer’s candy-themed “California Dreams” tour. The pop-up first appeared late last year in Santa Monica before moving to New York City in August. Candytopia contains amazing artwork made out of jellybeans and other candies, that are easily instagrammable. The entrance is a large golden gate with a candy dragon and faux storefronts that are reminiscent of The Wizarding World of Harry Potter’s Diagon Alley at Universal Studios. The rooms have various themes and concepts that start off as simple as sculptures and paintings made out of candy to having flying pigs that have confetti flying out of their derriere. The exhibit ends with a giant marshmallow pit that is so popular, the workers actually have to tell people to get out to make more room. Adult tickets to Candytopia are $34 and the exhibit is open every day, except for most Tuesdays. Tickets are sold online in advance and sell out rather quickly. Even people with food allergies such as gluten, dairy, egg, soy and nuts can enjoy this exhibit.